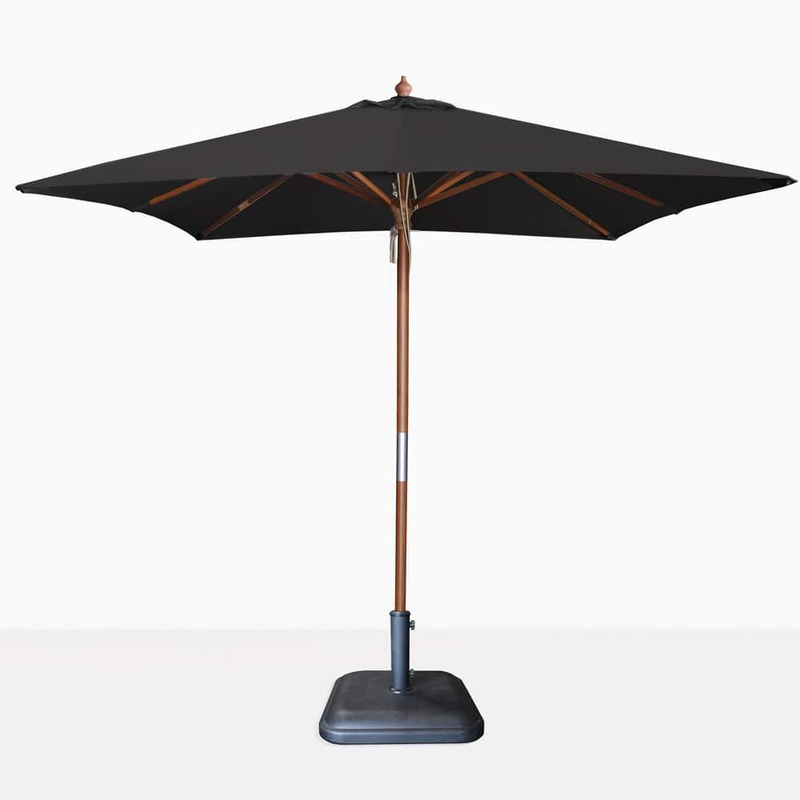 The Dixon Square Umbrella in Sunbrella® Black fabric has chic good looks and functions with ease. An outdoor umbrella with a Sunbrella® canopy is a must have for your outdoor space. It provides shade from the sun while you are relaxing or dining on your deck or patio. Sunbrella® fabric is a well-known leader in the outdoor furniture industry. The Dixon Umbrella has a thick rope pulley system that is easy to use. As you pull the rope and open that umbrella canopy you can lock it into place with a key. Simply remove the key and close the patio umbrella to store or close when not in use. The wooden pole is strong and durable and also has a warm traditional umbrella feel. The umbrella base is not included in the price. The Dixon Square Patio Umbrella in Black is a classic outdoor patio umbrella with good looks and great functionality. It will be a wonderful addition to your outdoor space. Please note that the umbrella base shown is not included in the price. Please call or email us today to find out more about the Dixon Sunbrella Square Umbrella in Black and to select a proper base.